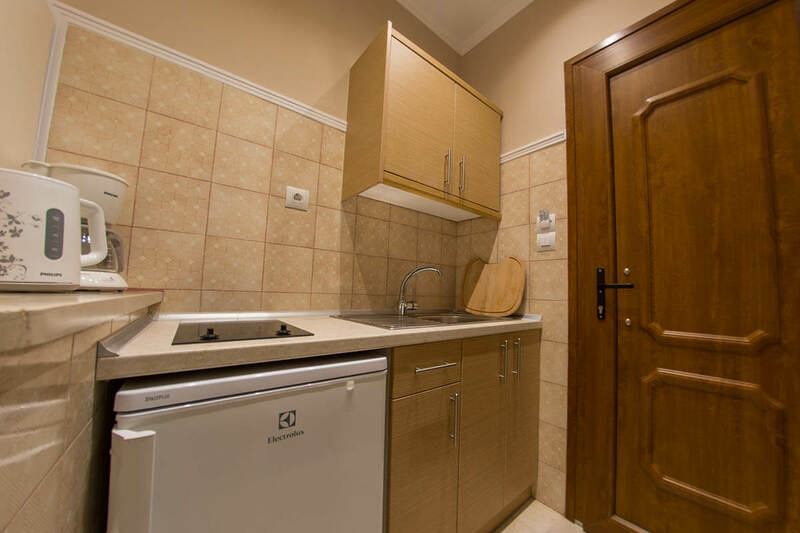 In the Akrokeramo House you will find studios and premium studios that can accommodate up to 2 people. 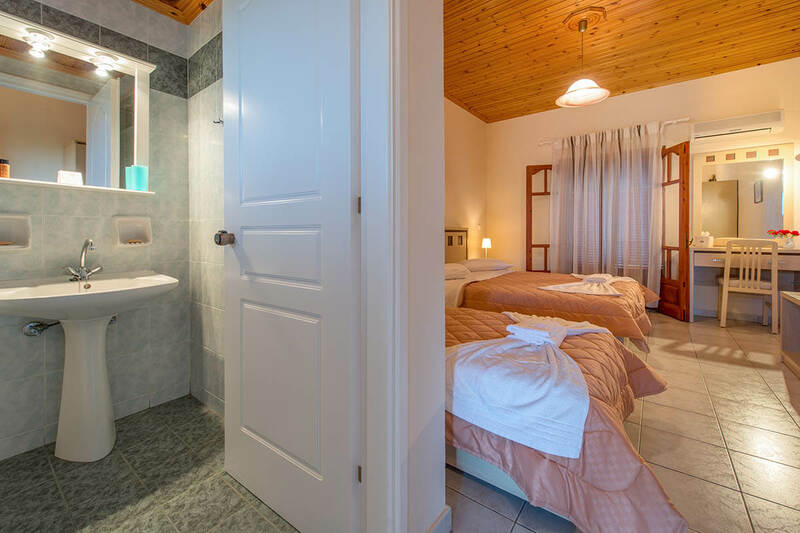 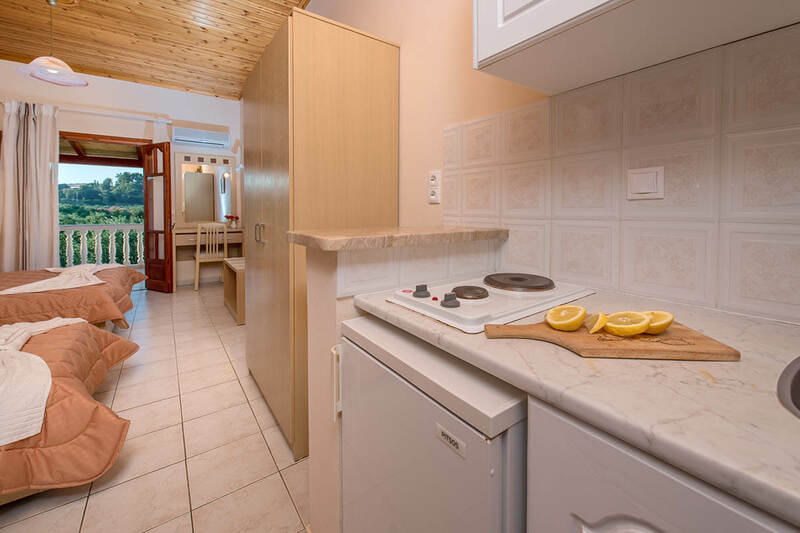 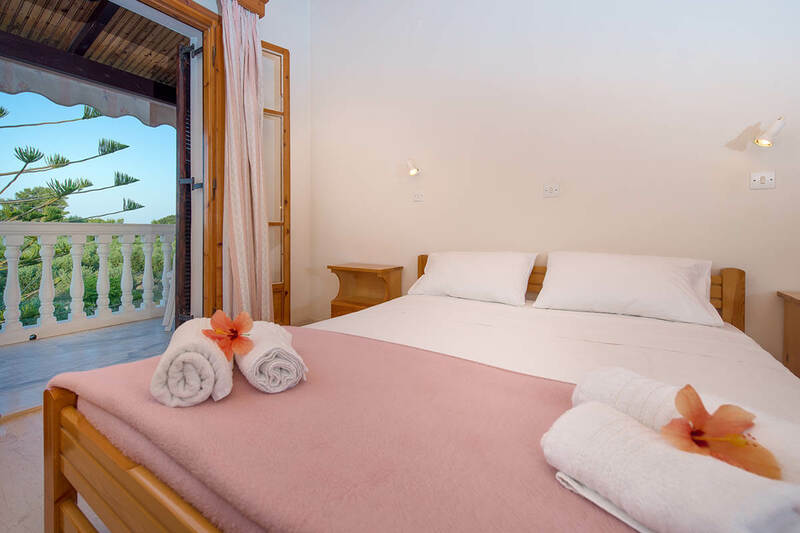 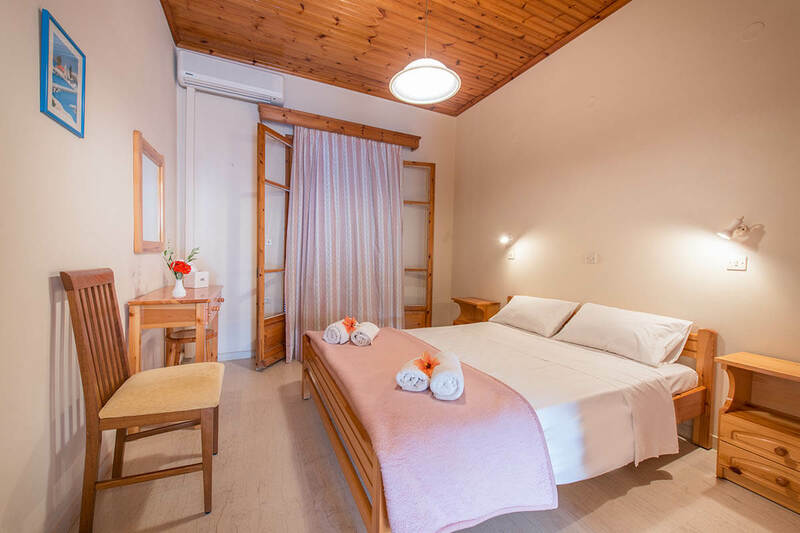 All feature a double bed, fully equipped kitchenette with refrigerator and electric rings, bathroom with shower, air conditioning, Wifi internet access and a private balcony overlooking the olive trees. 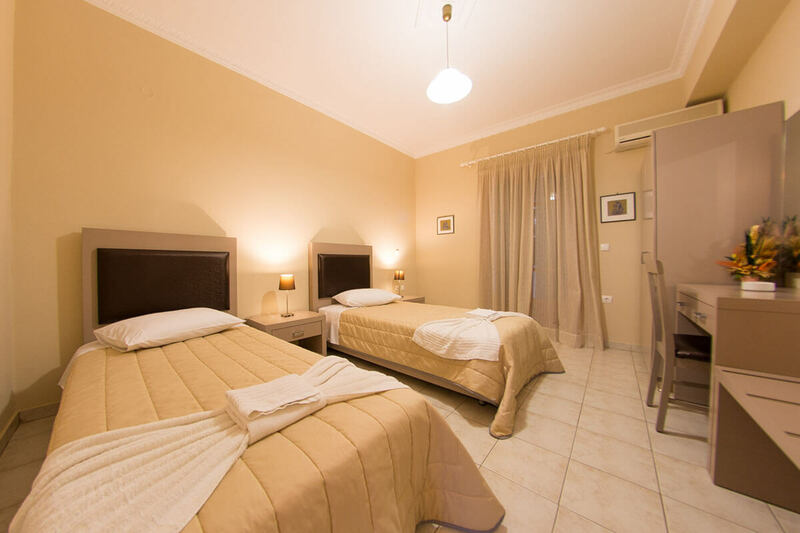 The premium studios have been fully renovated. 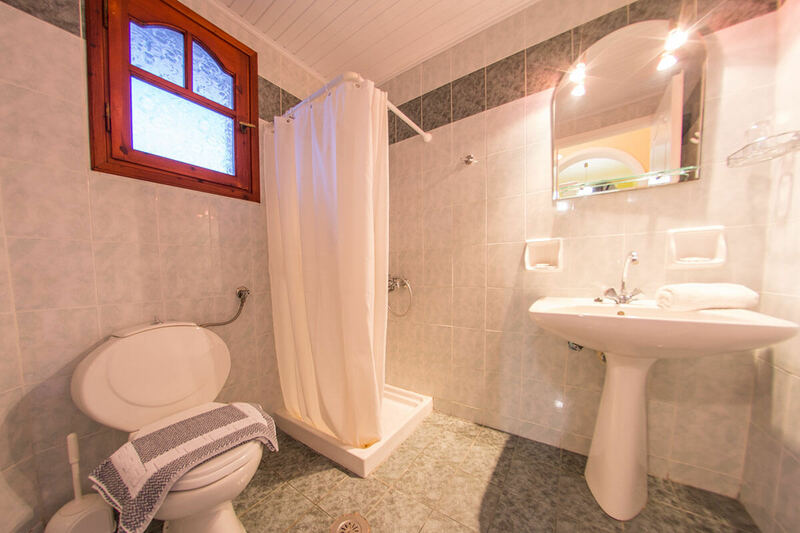 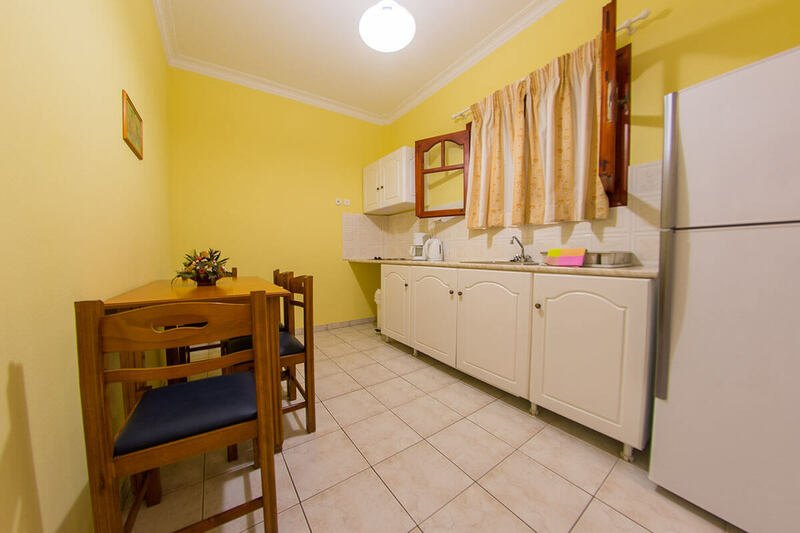 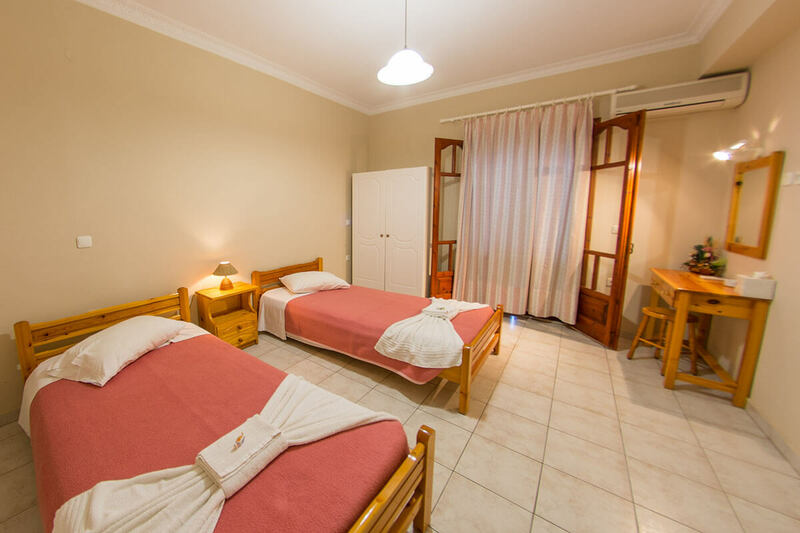 In the Ammolofos House you will find 2 bedroom apartments and premium 2 bedroom apartments for up to 4 persons and studios and premium studios for up to 3 people. 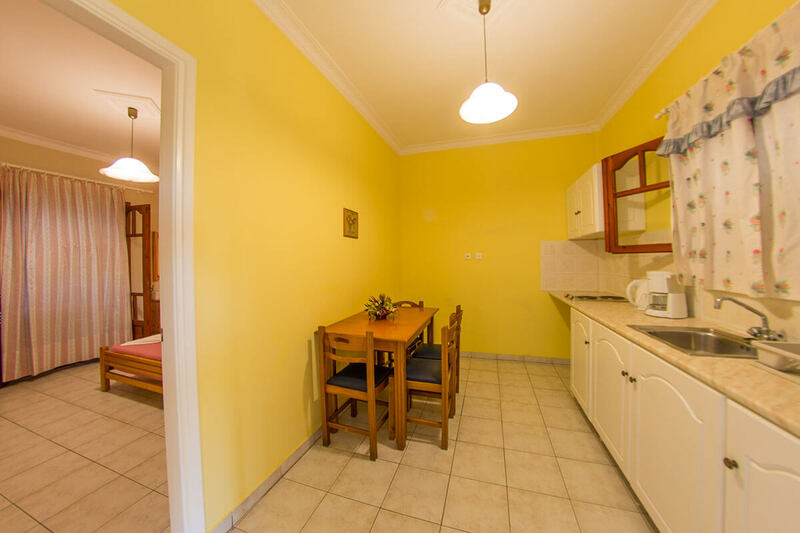 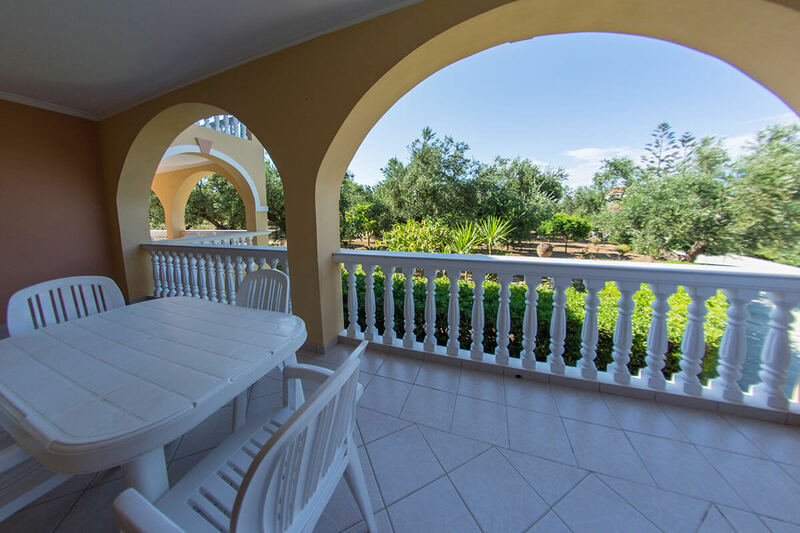 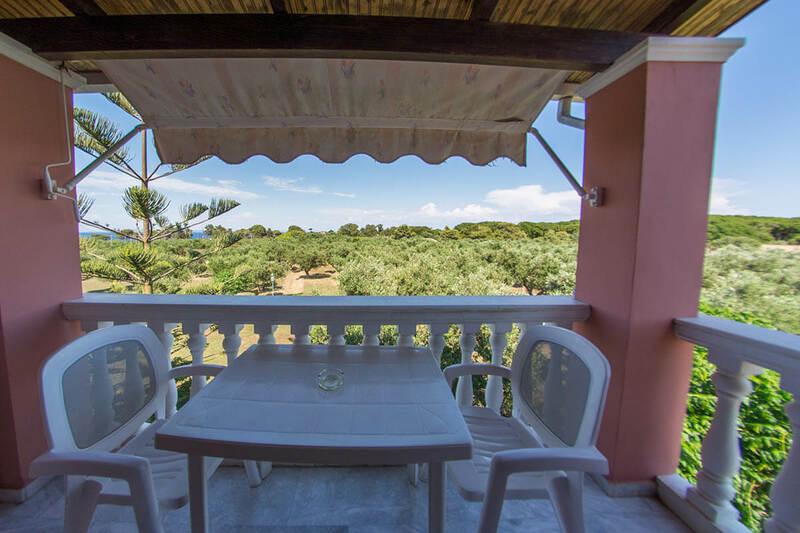 Each apartment features two bedrooms, one with a double bed and one with two single beds, fully equipped kitchen with refrigerator and electric rings, bathroom with shower, air conditioning, Wifi internet access and a private, spacious veranda overlooking the surrounding olive groves. 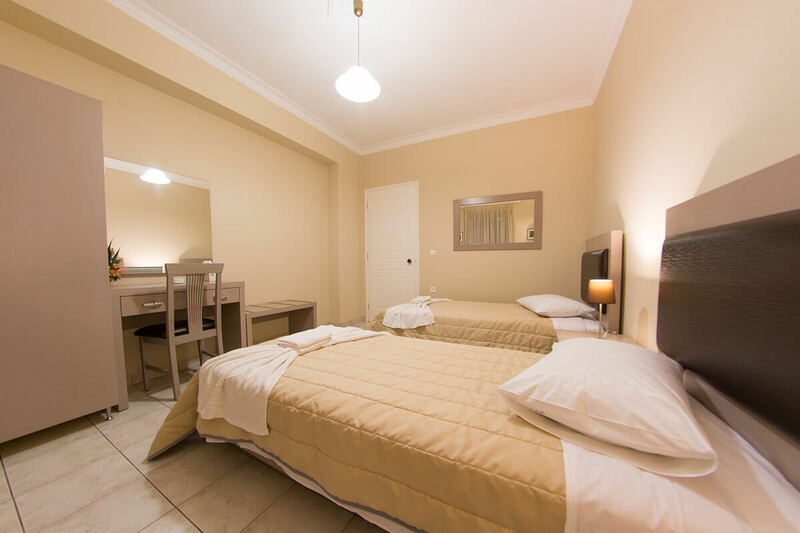 The premium apartments have been fully renovated. 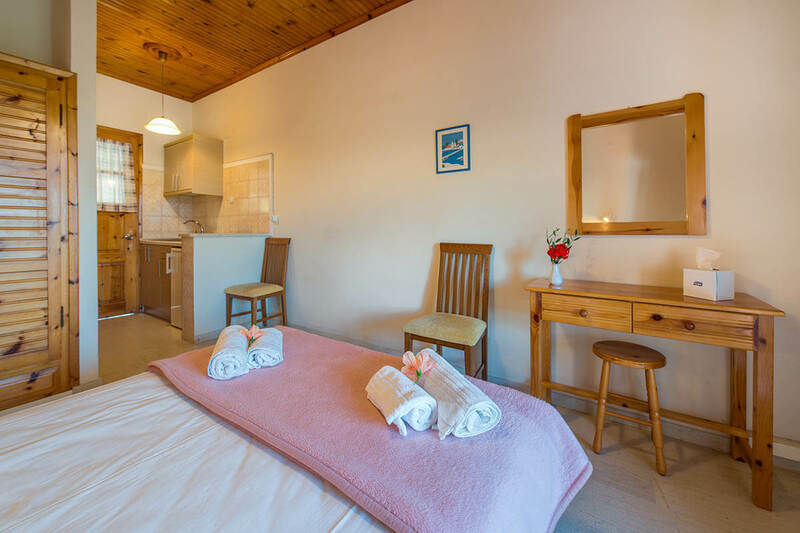 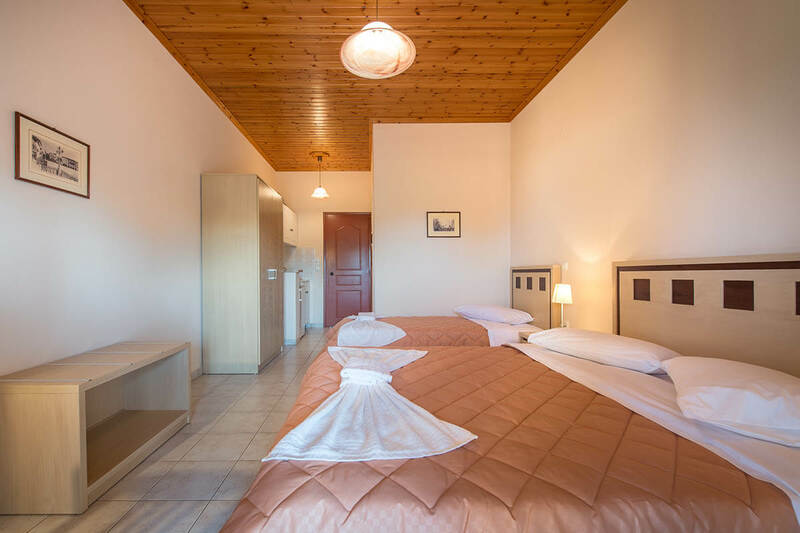 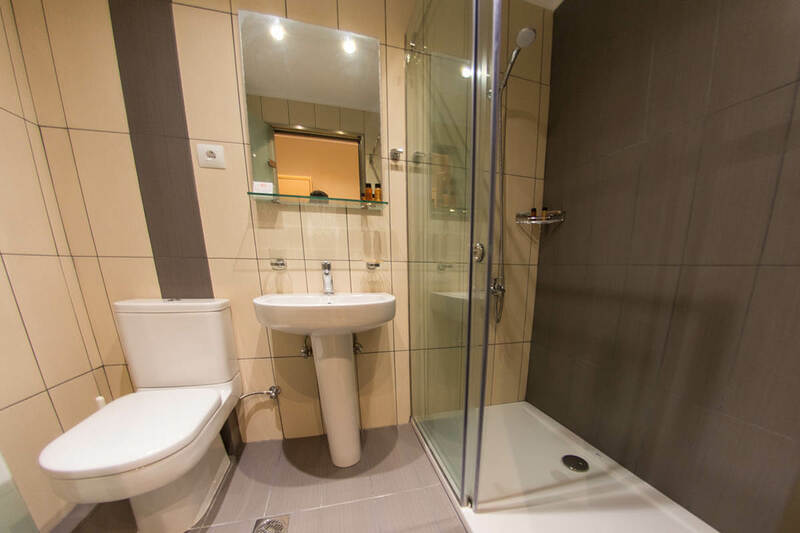 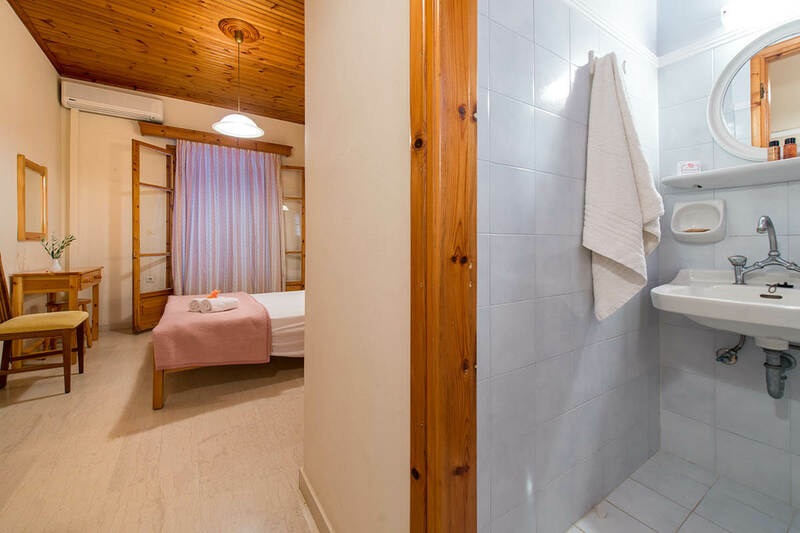 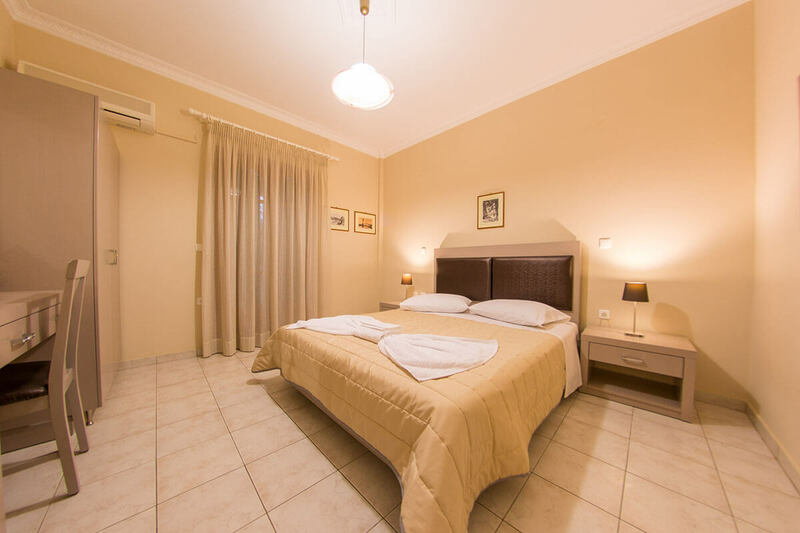 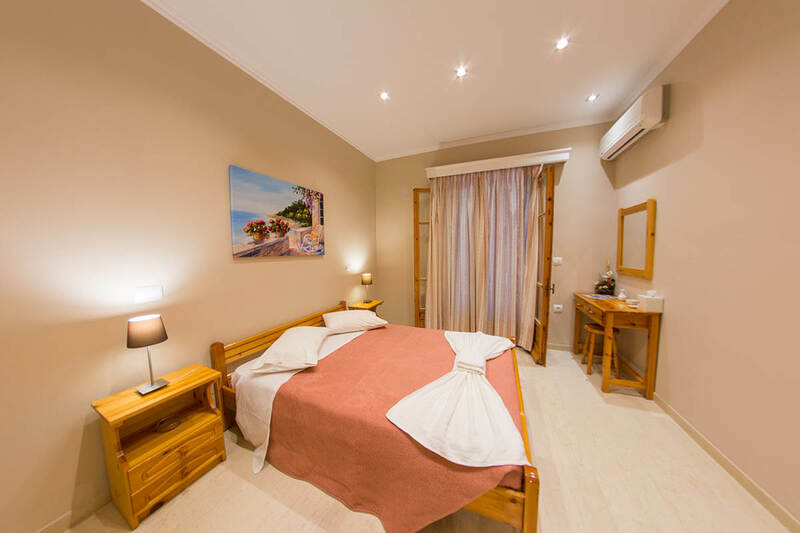 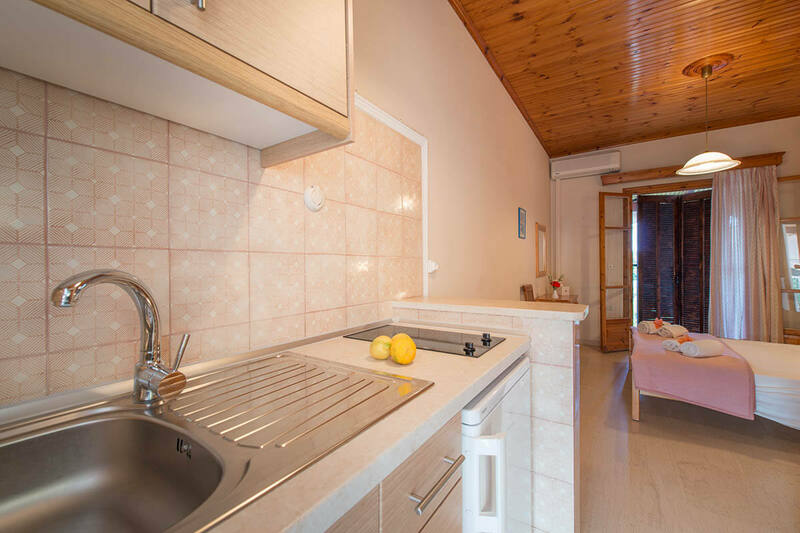 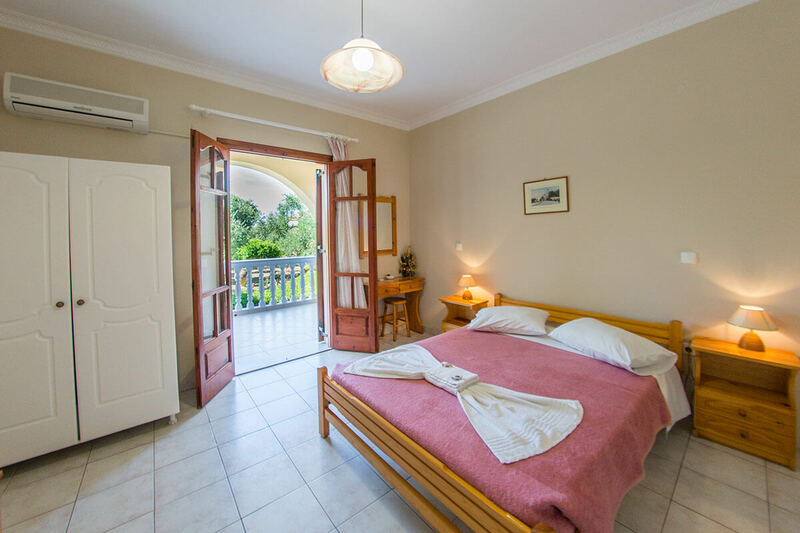 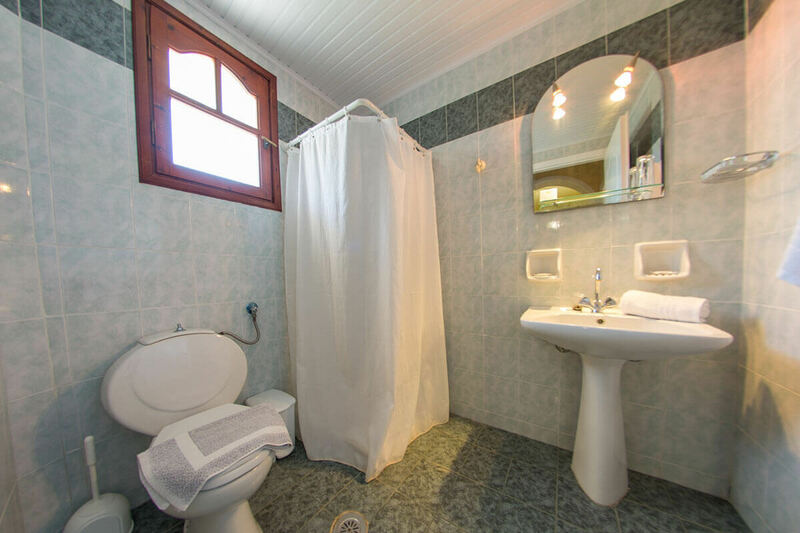 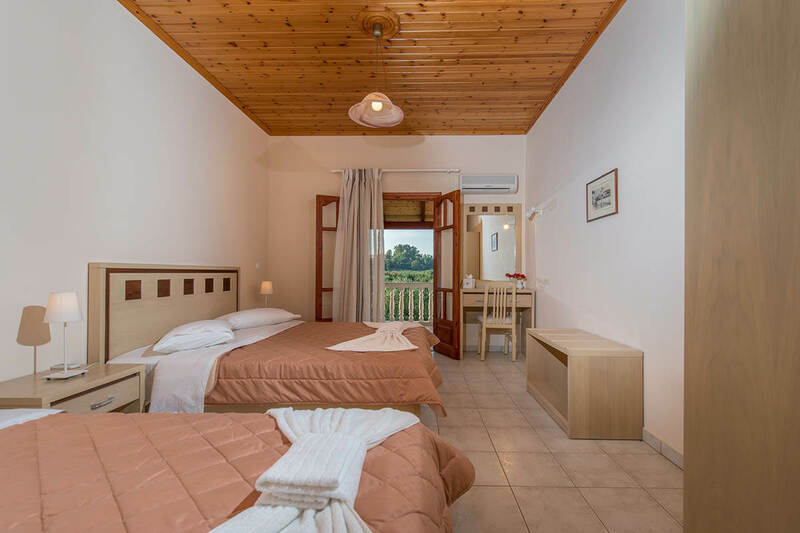 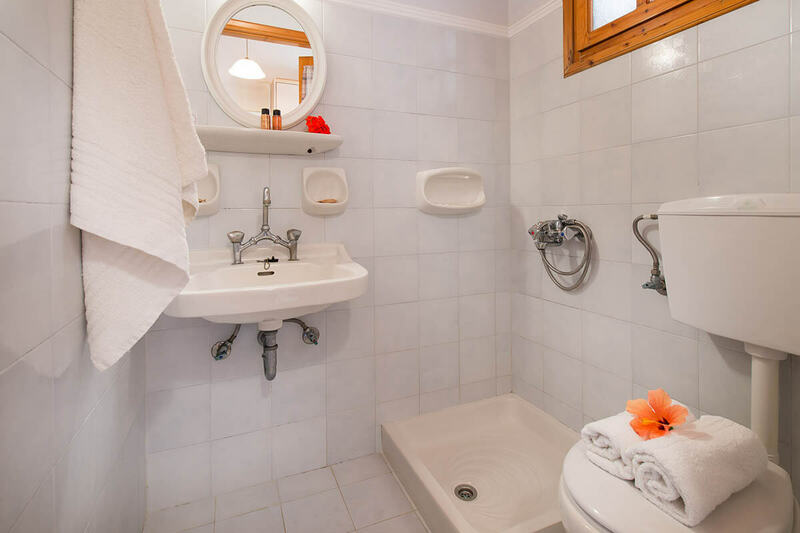 Each studio features a double and a single bed, fully equipped kitchenette with refrigerator and electric rings, air conditioning, Wifi internet access, bathroom with shower and private balcony overlooking the surrounding olive groves. 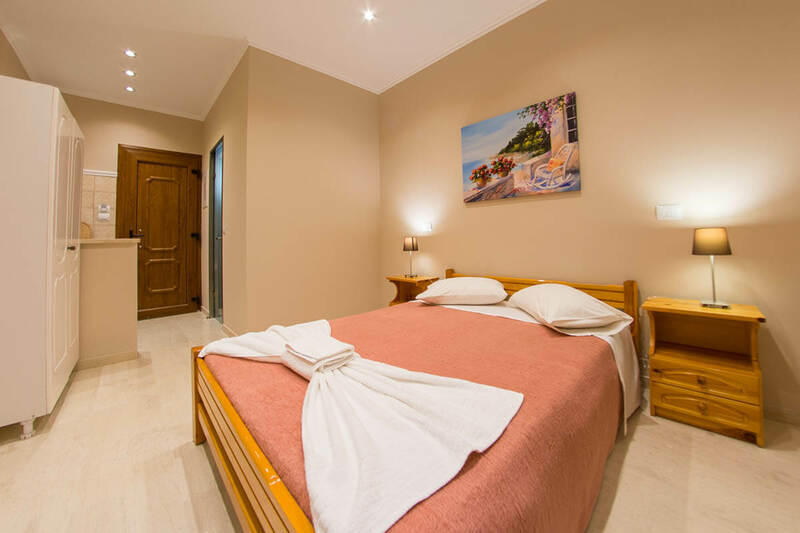 The premium studios have been fully renovated.